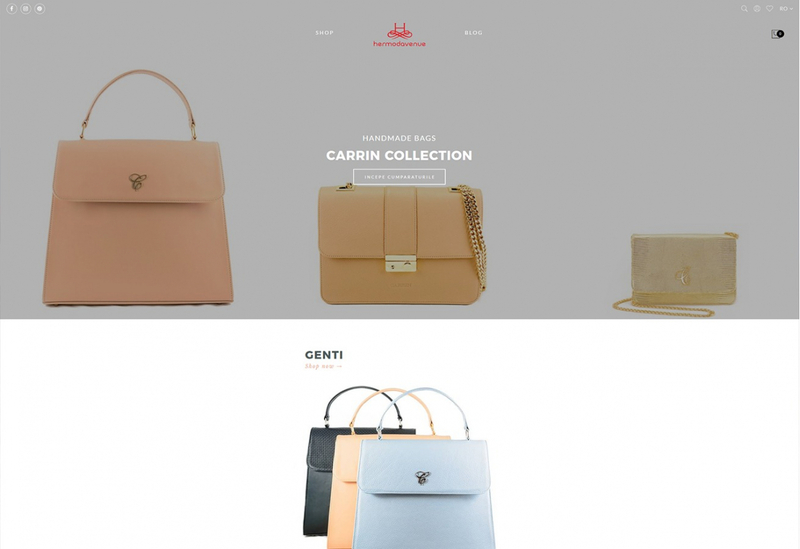 The online store "Hermodavenue" offers to users the opportunity to order products (fashion and footwear accessories) through an intuitive platform, a modern design and a detailed display of the products offered for sale. The "Quick View" feature allows customers to quickly see the most important features of the product they want without accessing another page within the website and may even continue the purchase process in that pop-up. The "Favorites" system makes it easy for the user to create a shopping list with their favorite products that they can access when they want, check their stock or eventually change prices. Besides this system, on the unique account of each user it always has a history of the orders made, its contact details, the delivery / invoicing addresses and the updated shopping cart. Dashboard for managing content, images, products, categories, prices, stock, etc. 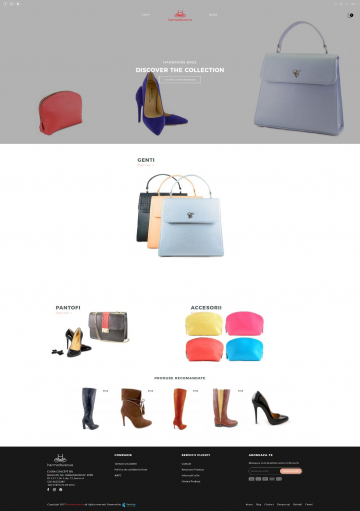 Hermodavenue offers for sale, through the online platform, products from the range Fashion from women's accessories to high quality footwear and bags. "A young, creative and flexible team that through the professionalism of its members has always provided prompt support in solving the problems and the various situations that occurred during the collaboration. I highly recommend XfactorApp! "